Love often makes you do things that are unsound. It is said that if it does not involve walking on fire, it is not love! We might not have experienced everything in love but books help us live the experience. The world of fiction when mixed with love often tends to affect us emotionally. 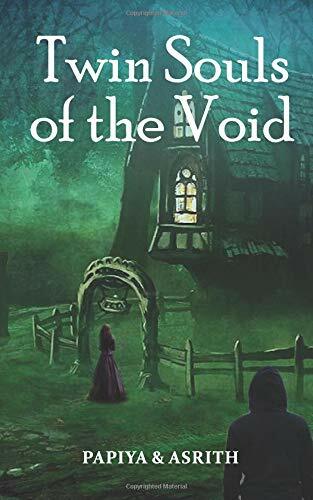 ‘Twin Souls of the Void’ is a poignant tale of love, sacrifice and relationships. A chance encounter makes Prakhya fall in love with Aryan. However, the twist in the tale is that they soon succumb to the catastrophe of life. In an accident, Aryan slips into coma and Prakhya loses her memory. Following this mishap, Prakhya’s diabolical mind starts believing in things that do not exist for others. A hooded figure constantly haunts her conscience and badgers her to ‘reach the end’. Amidst all this chaos, the characters of the story start their wild ride in a parallel universe and try to unravel the mysteries. The monotone of the narration and the use of incorrect vocabulary fails to impress the readers. Prakhya’s character could have been more developed. The authors try to add an undercurrent of vulnerability and emptiness to her stable façade, but that, too, doesn’t strike the right chord. The organization of content is fine but the layout of the text on each page does not meet with the standard. The cover is subtle but the title is ambiguous. The climax of the story seems to be borrowed from Harry Potter and the Deathly Hallows. The grammar is awful. The plot is gripping but the numerous errors do not help this book pass the muster. Best wishes to the authors! Considering that this is their debut book, I would like to advise you to do a thorough grammar check before submitting your manuscript for publishing.